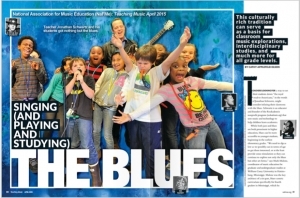 Teachers looking to set their students down the “Royal Road to Americana”, in the words of Jonathan Schwartz, might consider infusing their classroom with the blues. Schwartz is an educator and founder of the Rockademix nonprofit program that uses music and technology to teach academics. While both jazz and blues are prominent in higher education, blues can be more accessible to younger students, beginning in the earliest elementary grades.